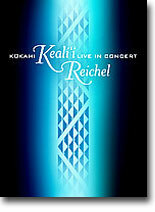 This is a NEW in NOV 98 sampler album, and many of the songs have already been published on the albums previously released by these three leading Hawaiian artists. 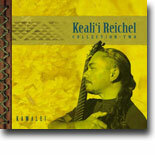 I am a big admirer of both Keali`i and Uluwehi and I heartily recommend it. A great combination of Punahele's Best!! 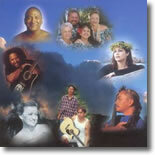 All songs are their own original compositions and sung in Hawaiian. It's a top seller for us.. 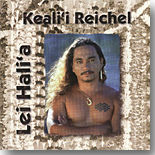 Note in the jacket liner that Keali`i sings background on Guerrero's songs and vice versa. Keali`i & Uluwehi are the Kumu Hula of the award winning "Halau Hula O Ka Makani Weli Makaha O Kaua'ula"... 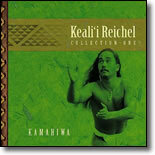 However the final cut, "MAUNALEO" is a new one and until now an unpublished song, a "place song", by Reichel, written for his mother, Lei and celebrating a favorite mountain near Wailuku... in traditional Hawaiian poetic fashion. 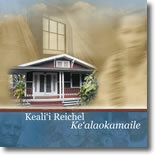 Another great song from Keali`i! Fans will love it. 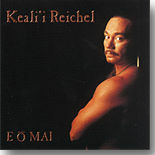 **extra note as of June 1999: This album was nominated for Na Hoku Hanohano 1999 Album of the Year and Keali`i's "Maunaleo" nominated for Song of the Year. 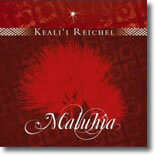 TECH NOTE: This new CD is published using CDK. 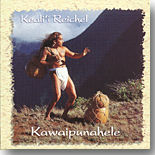 "CDK".... is a new technology pushed by MICROSOFT, an audio CD and will play in any CD capable stereo, but if you want to play it on your computer run CD player.....then PRIDE OF PUNAHELE can be played ONLY on Windows based computers. (requires Windows 3.1 or Windows 95 or later, and windows compatible sound cards)... MACphiles (SUCH AS YOURS TRULY) will just have to listen to the music in their home or car stereo... An online CDK handbook is available on Netscape.